The US is very fortunate when it comes to dozens of road courses. The benefit for visitors is that they have plenty of must-drive destinations to add to their holiday destinations. The best race tracks are located across the entire USA starting from Oklahoma to Utah, Connecticut to Alabama, California to Ohio and Florida to New York. Not to even mention Florida that requires an article all on its own. The best experience during any visit to the USA is driving on one of the best tracks. After being stuck in the office all year, it is time to live vicariously and if you are still planning your visit. Here a few of race-tracks to add to your must-drive list. The Hallet Motor Racing Circuit is around 40 years old, and this relatively small track is also one of the shortest. The trick is that this short track is highly technical and it is so tricky that it has been named officially as The B*tch. The circuit is around 35 miles located to the west of Oklahoma and features ten turns. It is still actively used as a racing circuit. Upcoming events include the CVAR’s Mike Stephens Classic and COMMA Championships. April’s races include the High-Speed Touring HST as well as several Motorcycle Lapping Days at the Hallet Motor Racing Circuit. There are two reasons why any tourist visits Utah those includes skiing and visiting Utah’s Miller Motorsports Park. The full course is 4,500 miles, and it is the only permanent racing facility in the state. Re-named as the Utah Motorsports Campus the circuit, it is used for kart racing, bicycle, motorcycle and auto racing. Utah’s Miller Motorsports Park circuit is still in active use and hosts the NASA Motorsport racing, URSCCA, Wilde Open, Nights Lights Sky Lantern Festival as well as Open Track Days and the MotoAmerica Championship. Connecticut’s Lime Rock Park is a tree-line, 1.5-mile racing course that has had a few modifications to slow down the speed of the racing cars since it was opened in 1957. It is one of the oldest and still one of the tracks any motorsport enthusiast should drive. 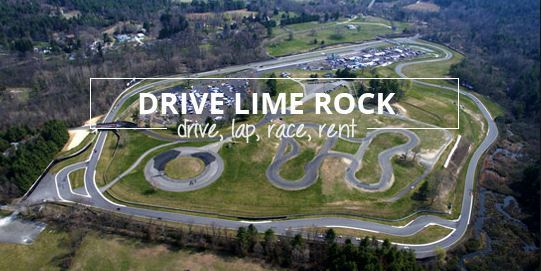 The Lime Rock Park is a top-rated race course and hosts plenty of races. These include the SCDA Track Day, Eurofest and the Historical 37 Car Corral. Motor racing enthusiasts describe it as the perfect location where awesome cars and keen drivers meet. The park-like atmosphere makes it a great day out for the family, although the paddock area offers the real deal. The track is built on a 32 ha area and currently belongs to owner Skip Barber. The track is often used for traditional festivals, and this year it will also host the Labor Day Weekend.